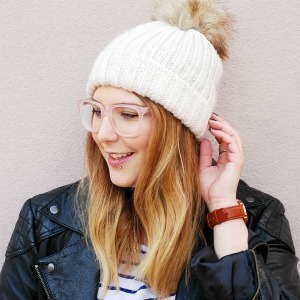 I wasn’t going to write about the CXBO x Tiffany Pratt Disco Egg*. After all, it’s just chocolate — very expensive, decadent chocolate. I was going to dig right in, maybe munch on the pastel-coloured caramelized white chocolate shell while watching an episode or two of New Girl. When I peeked inside the broken egg and saw the sprinkles, the chunks of aerated chocolate and the pretty salt water taffy, I couldn’t resist snapping a few photos. A few quickly turned into a hundred, and here we are. The stunning limited edition CXBO x Tiffany Pratt Disco Egg is immortalized forever and ever. 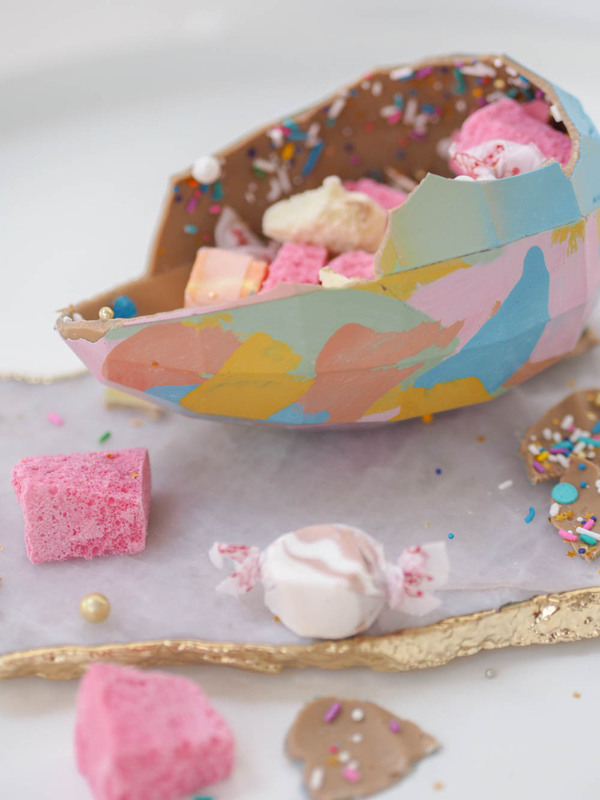 I never met a chocolate egg I didn’t like, but this Mother’s Day collab between Toronto chocolatiers CXBO and designer/HGTV personality Tiffany Pratt is much more than a delicious mid-afternoon snack. 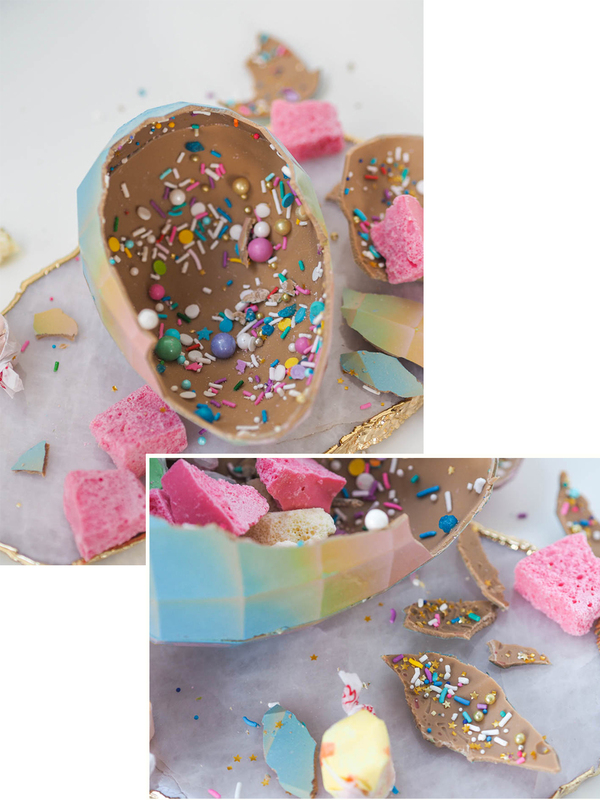 CXBO asked Tiffany to give their famous Ziggy Stardust Disco Egg a fresh spring makeover, and the result is pink, glittery, and very Instagram-worthy. 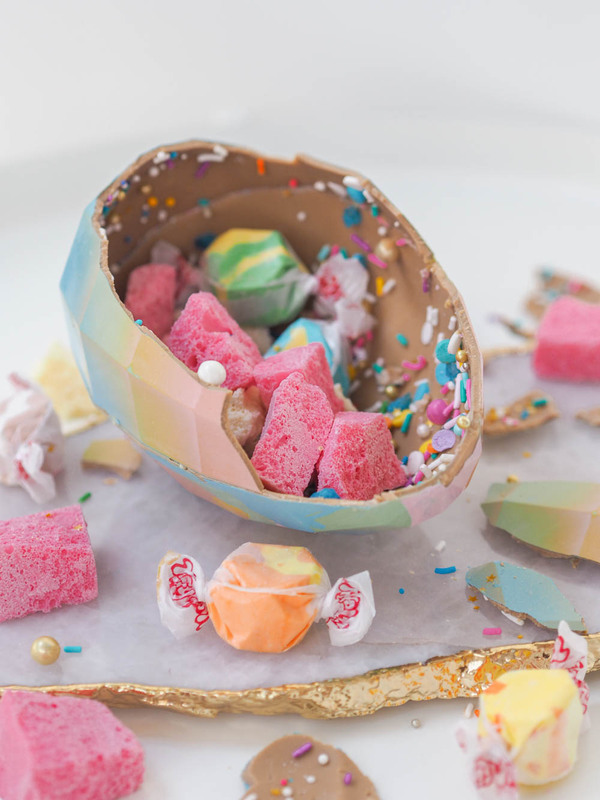 It’s a delightful cross between a giant Kinder Surprise and a work of art — except that its faceted shell is filled with fun, edible treats. 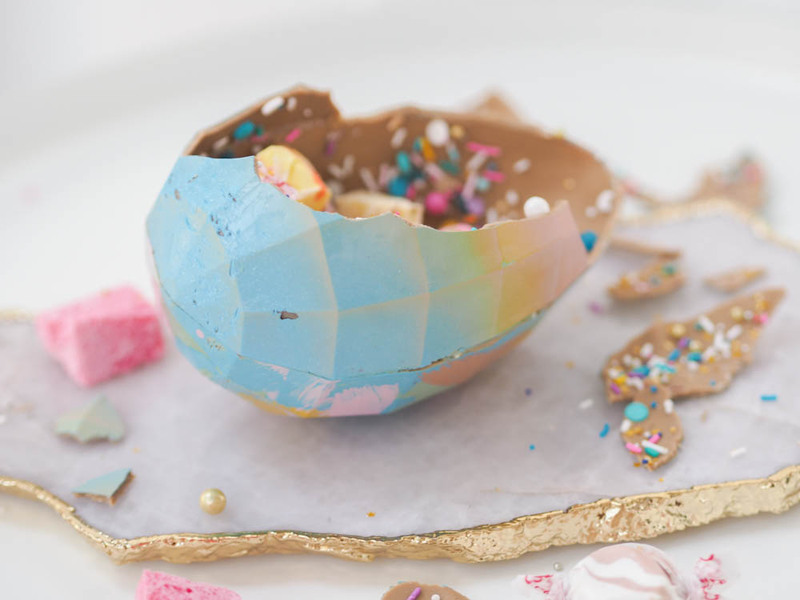 Tiffany is known for her colourful designs, her unicorn hair, and her quirky style, so it’s fitting that she’d choose to fill her eggs with fun sprinkles, edible star-shaped glitter, and bubbly pink chocolate. 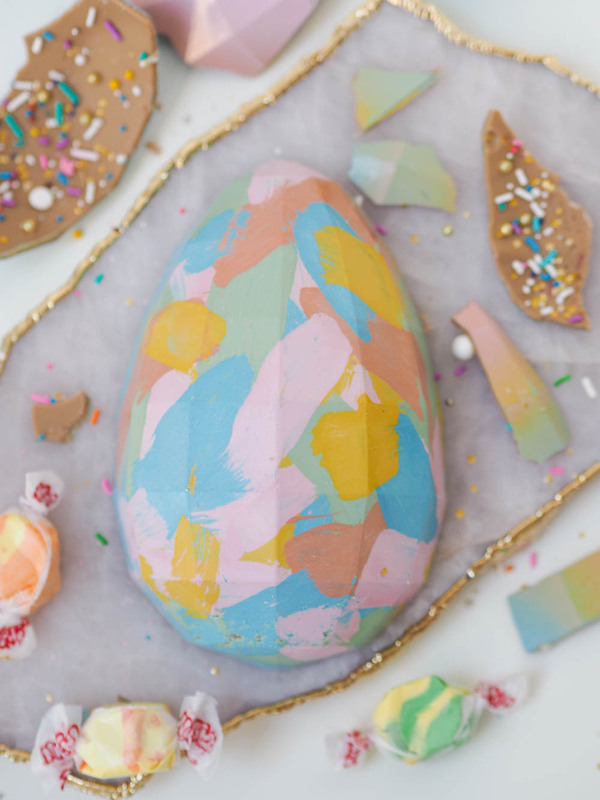 Each egg is completely unique, with hand-painted brush strokes on one side and a rainbow ombré design airbrushed on the other. Tiffany teamed up with Pusateri’s over Christmas last year, and I was happy to catch up with her in the Saks Food Hall Connoisseur Room again. I love the energy she brings to each project, and it’s lovely to see how she very much remains her edgy self when she collaborates with high-end brands like Pusateri’s. 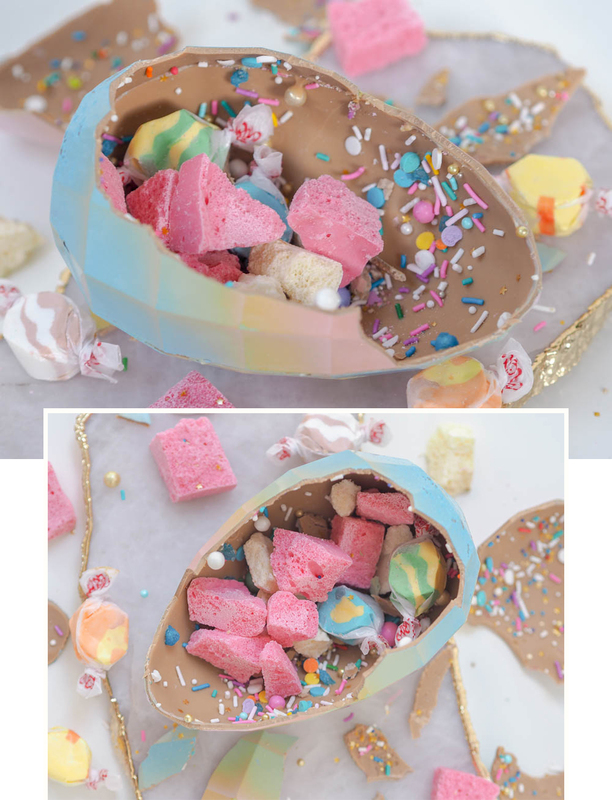 When I stopped by the Saks Food Hall by Pusateri’s to pick up my Disco Egg and sample some of the CXBO x Tiffany Pratt Ombré Salted Caramel treats, Tiffany was there wrapping up her creations with ribbons and homemade pompoms. The egg makes a great Mother’s Day gift, but Tiffany told me to keep it for myself. So I did. 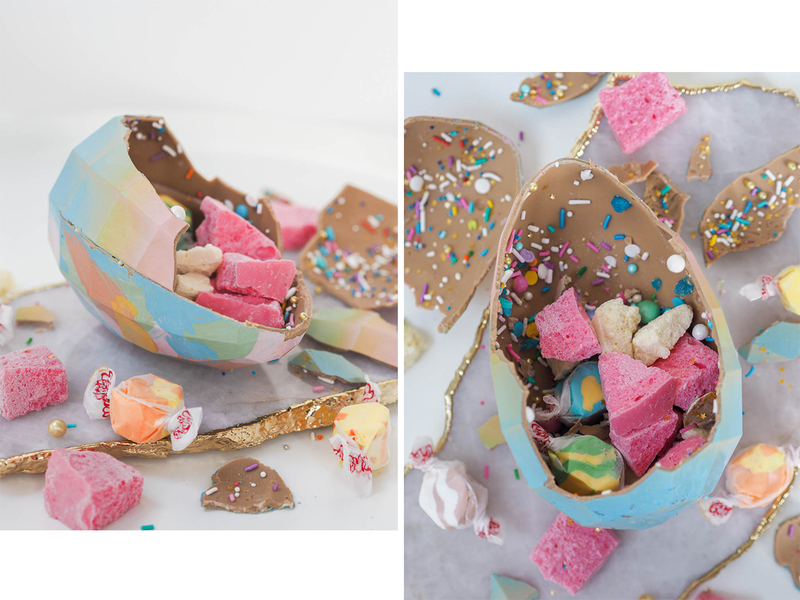 Instead of giving away my precious CXBO x Tiffany Pratt Disco Egg, I broke it all up and umm..thoroughly taste-tested it. That’s why I can tell you that breaking the shell requires more force than you’d imagine. In the end, I had to break the chocolate apart with my hands. The cracking of the egg wasn’t quite as Instagram-worthy as I’d hoped, but the chocolate was delicious. Light and not too sweet, with a nice crunch from the sprinkles and chocolate balls. 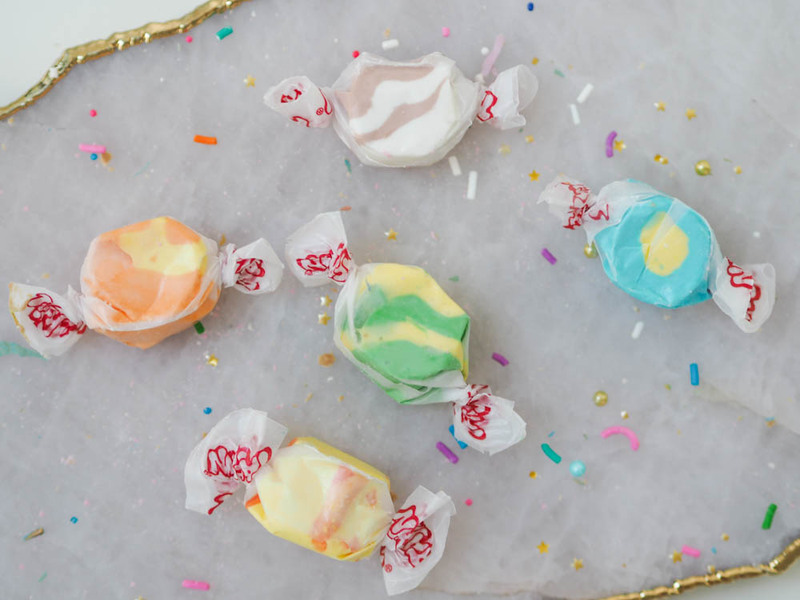 The salt water taffy was soft and chewy, just as it should be. I’m not sure that it’s truly $50 worth of deliciousness, but the Tiffany-designed Disco Egg is certainly pretty enough to justify the price tag. It’s a nice Mother’s Day gift, but a bit showy (not to mention expensive) if you’re buying yourself a treat. The CXBO x Tiffany Pratt Ombré Salted Caramel chocolates are more decadent, just as pretty and easier to justify at $24. I wish I had picked up a box of those, especially since Tiffany Pratt also designed the packaging, and it’s very pretty. You can pick up the CXBO x Tiffany Pratt treats at Saks Food Hall by Pusateri’s until…today (May 13, 2018). Sorry for the last-minute notice, but it was a last-minute decision to write about it! This post features products that were provided for editorial consideration.